My 2 friends came over to sew on another frigid day yesterday. I worked on another project while they were here and made 5 more light pineapple blocks with my die cut pieces last night. 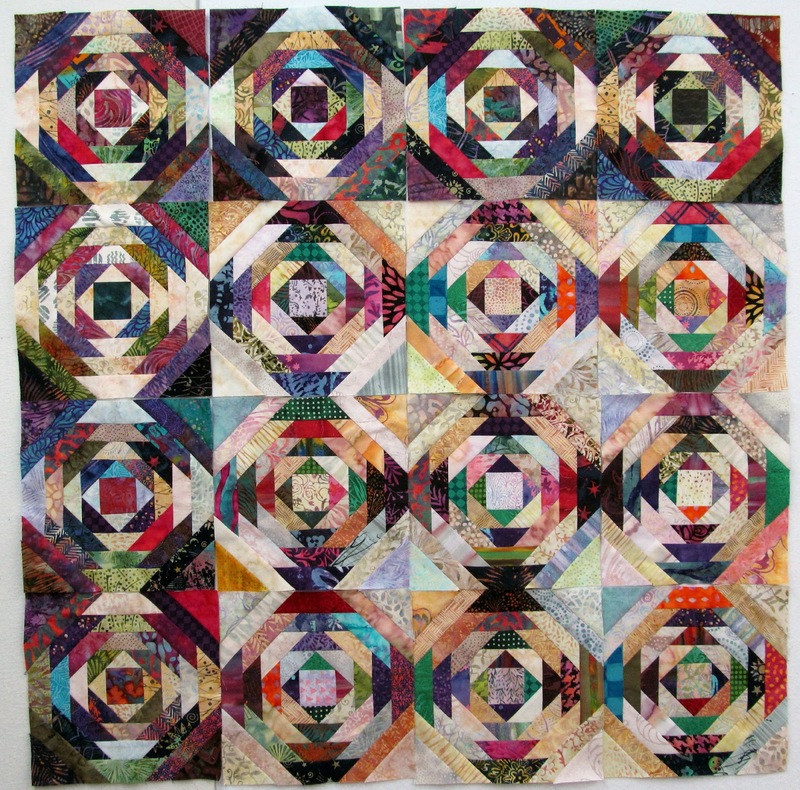 This would give you an idea of what they would look like with the light ones in the center of the quilt and dark ones as a border around them. I need to cut a lot more light fabrics. I have to keep repeating the same ones now. I will look through my 2 stacks of light batiks and pull some more today. 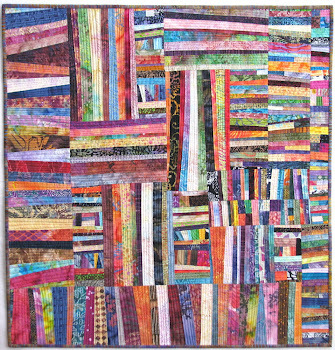 So far I have been able to use all scraps for the dark fabrics. 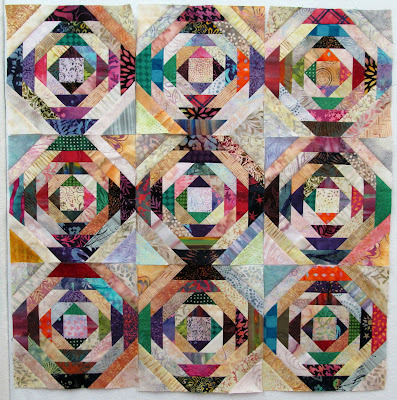 I will probably spend the weekend finishing quilts alternating with cutting more pieces. Love it! I second Michele's comment. I AGREE!! Those light blocks are my favorites - like the dark ones as a border. 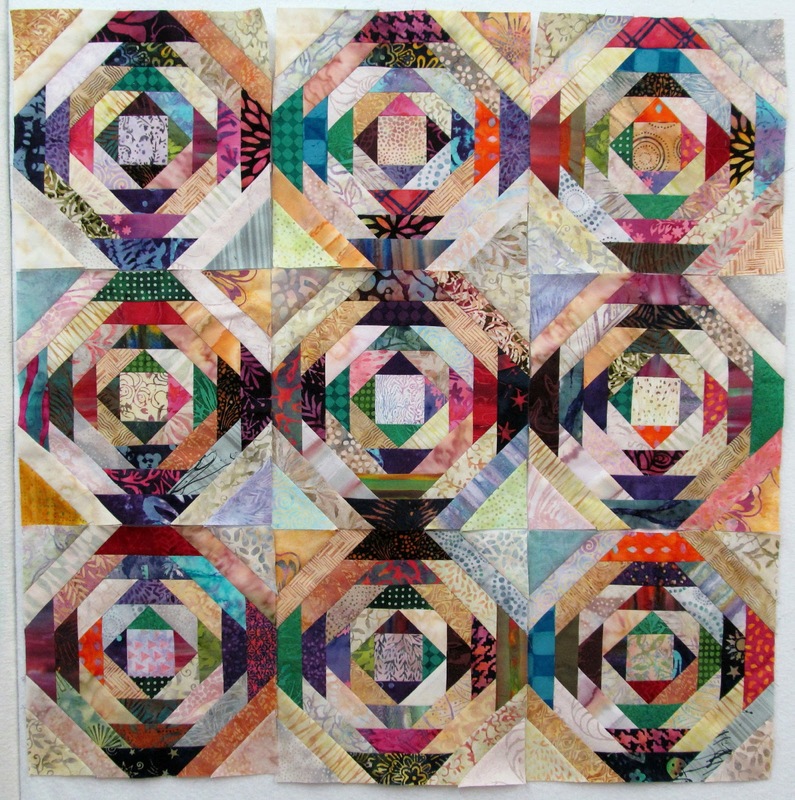 I really do love pineapple blocks, esp made from all the gorgeous batiks! I also like the light blocks the best. Have you considered putting the blocks on point? Wow? I love both the dark and light blocks and putting them together is spectacular. 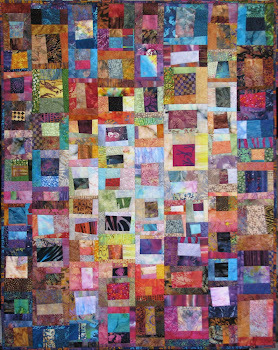 However this quilt ends up, it will be a marvelous work or art--once again! Kudos, Wanda. Really frosty cold temps here also. And predicted to hang on another week. 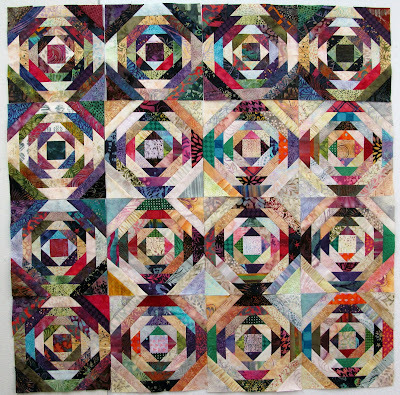 Love your string quilts especially the 1/4 log cabin quilts....all the layouts. Did you have any sort of guide you were following apart from the square of black?